Tarek Mehanna got seventeen years in prison for translating a document. An earlier version of this Comment appeared on the New York Review of Books blog. Google “39 Ways to Serve and Participate in Jihad,” and you’ll get more than 590,000 hits. You’ll find full-text English translations of this Arabic document on the Internet Archive, an e-library; on 4Shared Desktop, a file-sharing site; and on numerous Islamic sites. You will find it cited and discussed in a Senate committee staff report and in Congressional testimony. Feel free to read it. Just don’t try to make your own translation from the original, which was written in Arabic in Saudi Arabia in 2003. Because if you look a little further on Google you will find multiple news accounts reporting that on April 12, Tarek Mehanna, a 29-year-old citizen from Sudbury, Massachusetts, was sentenced to seventeen and a half years in prison for translating “39 Ways” and helping to distribute it online. As Anthony Lewis used to ask in his New York Times columns, “Is this America?” Seventeen and a half years for translating a document? That the counterterrorism imperative has put tremendous strain on freedom of speech has been evident at least since the Supreme Court’s 2010 decision in Holder v. Humanitarian Law Project, which upheld the criminalization of speech advocating peace and human rights when expressed to or on behalf of a designated “terrorist organization.” The threat to free expression was manifest long before that in Muslim communities, where expressing a radical idea will make you the target of informants, undercover agents and pressures to “cooperate” with entrapment schemes. But when the mere translation of a document can form the basis of a criminal conviction, without any evidence that it sparked a violent or unlawful act, we have reached a new level of speech suppression. Granted, the document that formed the centerpiece of Mehanna’s trial is an extremist text. Among the “39 ways” are “Truthfully Ask Allah for Martyrdom,” “Go for Jihad Yourself,” “Giving Shelter to the Mujahedin” and “Have Enmity Towards the Disbelievers.” (Others, however, include “Learn to Swim and Ride Horses,” “Get Physically Fit” and “Expose the Hypocrites and Traitors.”) But surely we have not come to the point where we lock people up for translating a widely available document. After all, news organizations and scholars routinely translate and publicize jihadist texts. Think, for example, of the many reports over the past decade of messages from Osama bin Laden. The Mehanna conviction represents a new front in the “war on terror”: muzzling Internet propaganda. Mehanna’s crime was to disseminate ideas that favored the “enemy.” In addition to the “39 Ways,” much of the government’s case against him relied on excerpts from his chat room conversations, in which Mehanna debated jihadist ideas, engaged in sometimes disturbing banter about violent acts and expressed admiration for bin Laden and Al Qaeda. According to the prosecution, the conversations demonstrate that he did the translation intending to support Al Qaeda, and for that he will spend more than seventeen years in prison. 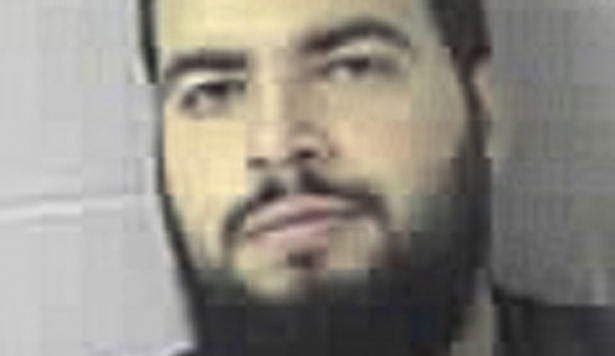 The case against Mehanna, who had no criminal record before his 2009 arrest, rested on two basic charges: that he had traveled with friends to Yemen in 2004 for ten days in an unsuccessful search for a jihadist training camp; and that upon his return he translated several jihadist tracts and videos for Internet distribution, allegedly to spur readers on to jihad. After a two-month trial, he was convicted of conspiring to provide “material support” to a “terrorist organization.” The jury did not specify whether it found him guilty for his trip to Yemen—which resulted in no known contacts with jihadists—or for his translation. So, under established law, the conviction cannot stand unless it’s permissible to penalize him for his speech. Mehanna is appealing the decision. Under traditional (read, pre-9/11) First Amendment doctrine, Mehanna could not have been convicted even if he had written “39 Ways” himself, unless the government could shoulder the heavy burden of demonstrating that the document was “intended and likely to incite imminent lawless action,” a standard virtually impossible to meet for written texts. In 1969, in Brandenburg v. Ohio, the Supreme Court established that standard, ruling that the First Amendment protected a Ku Klux Klansman who made a speech to a Klan gathering advocating “revengeance” against “niggers” and “Jews.” The Court set that speech-protective test only after years of seeing federal and state governments use laws prohibiting advocacy of crime as a tool to target dissidents (including anarchists, antiwar protesters and communists). But in Mehanna’s case the government never tried to satisfy that standard. It didn’t show that a violent act was caused by the document or its translation, much less that Mehanna intended to incite imminent criminal conduct and was likely, with the translation, to do so. Instead, the prosecutor argued that his translation was intended to aid Al Qaeda and thus constituted material support to a terrorist organization. The prosecutor relied on Holder v. Humanitarian Law Project, but in truth it went much further. In that case, a divided Supreme Court upheld the “material support” statute as applied to advocacy of peace and human rights, when done in coordination with and to aid a designated terrorist organization. (The Humanitarian Law Project sought to encourage the Kurdistan Workers Party to resolve its disputes with the Turkish government through lawful means, by training the party in bringing human rights complaints before the United Nations and helping it in peace overtures to the Turkish government.) The Court ruled that the government could criminalize such advocacy because, it reasoned, any aid to a foreign terrorist organization might ultimately support illegal ends. In Mehanna’s case, however, the government cited no evidence that he ever met or coordinated with anyone from Al Qaeda. Nor did it demonstrate that he had sent the translation to Al Qaeda. It was posted by an online publisher, Al-Tibyan, which has not been designated as part of or a front for Al Qaeda. The government did not claim that Al-Tibyan was run by Al Qaeda, although it did contend that the website had “come to the attention” of Al Qaeda and that Al Qaeda somehow used the site to spread its message. But can one provide “material support” to a group with which one has never coordinated or communicated? The Court also finds it significant that Congress has been conscious of its own responsibility to consider how its actions may implicate constitutional concerns. Most importantly, Congress has avoided any restriction on independent advocacy, or indeed any activities not directed to, coordinated with, or controlled by foreign terrorist groups. “Under the material-support statute,” the Court insisted, people “may say anything they wish on any topic.” But apparently not on “jihad.” The prosecutor in Mehanna’s case argued that the translation was motivated by Mehanna’s ideological support of jihadism, and of Al Qaeda in particular. But without coordination, and without delivery of the final product to Al Qaeda or any of its known affiliates, it looks like nothing more than “independent advocacy”—activity that the government said would not, and the Supreme Court implied could not, be punished. Why should those of us who have no interest in reading “39 Ways to Serve and Participate in Jihad” care? For the same reason we should care about the prosecution of Klansmen or anarchists for their speech. History shows that free speech is fundamental to a robust democracy, and that if the government can punish expression because of its political content, it will use that power to go after its enemies. Today’s enemy may be anyone who shows sympathy for jihadism, but who knows who tomorrow’s enemy will be? You don’t need thirty-nine ways to unravel democracy; giving the government the power to penalize the speech it detests will do it in one.